Peter Sortino planned a 100th birthday bash for St. Louis that would go on for days and draw thousands of guests, but his name was largely unknown to most who attended. EATS Bridge, ’04 Eve and River Splash are the enduring memories that most St. Louisans have of the 1904 World’s Fair centennial celebration. Mr. Sortino was the director of St. Louis 2004, which planned the festivities and, later, the Danforth Foundation, which launched the initiative. The fun was a minuscule part of the work of St. Louis 2004, which was formed in 1996 to kick-start major regional improvement projects. Mr. Sortino led the effort from 2000 until the organization completed its mission in 2004. Among them is Great Rivers Greenway. The recreation district is well on its way to having a labyrinth of 600 miles of interconnected trails and parks traversing 1,200 square miles. Peter Sortino worked on many St. Louis projects, but behind the scenes. The challenge was funding. Mr. Sortino succeeded in getting two major sales tax initiatives passed. In 2000, he led the successful campaign to pass Proposition C, which funded Great Rivers Greenway, the first local bi-state park and recreation district in the country and, in 2012, Proposition P, to fund redevelopment of the grounds of the Gateway Arch. “Peter Sortino was one of the most consequential and effective persons in our town,” Danforth said. 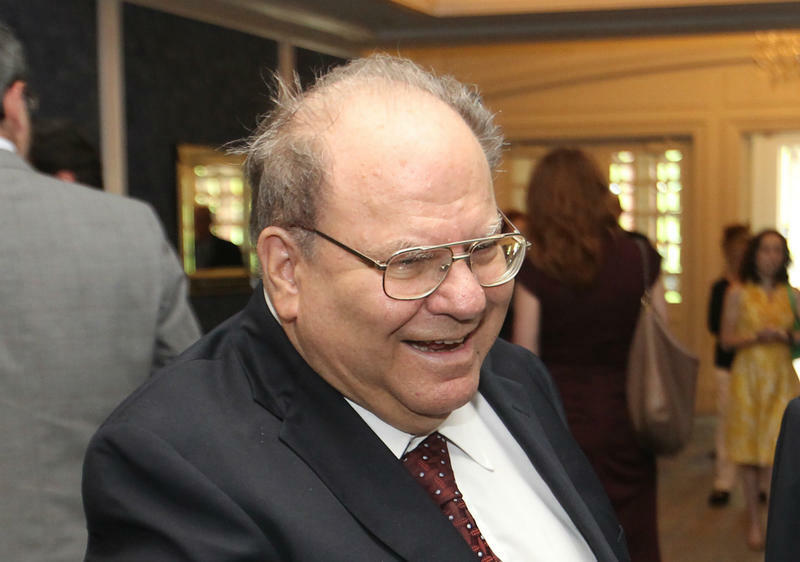 Mr. Sortino, who had been receiving hospice care for several months, died of pancreatic cancer this morning (March 24, 2017) at his home in Sunset Hills. The 2004 initiative ended with numerous long-term projects underway, and Mr. Sortino was quickly appointed president of the Danforth Foundation. During his tenure, the foundation helped restore some of the majesty of downtown, including revitalization of the Old Post Office. He led the foundation through its planned dissolution in 2011, when all remaining assets were funneled into the Donald Danforth Plant Science Center. Mr. Sortino was twice honored in 2016 for his green efforts. He received the Keeper of the Park award from St. Louis and Forest Park Forever in April, and was named the St. Louis Post-Dispatch Citizen of the Year in November. Peter Sortino received the Keeper of the Park award from St. Louis and Forest Park Forever. Until he received the latter award, many St. Louisans were unaware of Mr. Sortino’s role in the region. That’s because “he was such a humble person and so much behind the scenes,” said Susan Trautman, executive director of Great Rivers Greenway. Mr. Sortino was the founding chair of the St. Louis Regional Health Commission, another lasting venture that arose out of St. Louis 2004. With the closing of Regional Medical Center, St. Louis’ last remaining public hospital, the commission was formed to help low-income people gain access to health care. While leading the Danforth Foundation, Mr. Sortino joined the board of Forest Park Forever, where he helped secure the passage of two bond issues totaling $64 million for capital improvements in Forest Park and 108 other city parks. To sustain Forest Park, he spearheaded a funding partnership between the city and Forest Park Forever, a commitment that spurred an additional $100 million in private donations. After wrapping up the foundation’s business in 2011, Mr. Sortino was named assistant vice chancellor for special initiatives at Washington University. In 2013, he was inducted into the Missouri Recreation and Parks Hall of Fame for his work on the tax propositions. 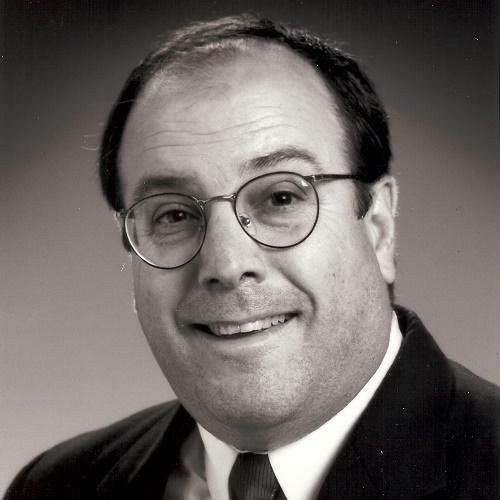 Mr. Sortino had gotten a taste of politics in 1974, when he came to St. Louis as an urban planning intern during his senior year at the University of Cincinnati. After sitting in on aldermanic meetings and watching mayoral aides plot political strategy, he was hooked. Mr. Sortino returned to St. Louis in 1977, and for nearly a decade, he ran interference for two Democratic St. Louis mayors: Vincent C. Schoemehl and Freeman R. Bosley Jr. In between, he was Schoemehl’s director of Operation ConServ, a neighborhood stabilization program. “He had the ability to work with politicians, the cast of characters, to accomplish important objectives and he just loved the political process,” Danforth said. Sometimes the process called for his “awesome” humor and, occasionally, bravery. Mr. Sortino was once enlisted to take a warning to Schoemehl, which briefly sent the mayor and his family into hiding. The threat was issued by Luther Boykins, the ex-husband of the then-embattled license collector, Billie Boykins. Prior to his appointments with the city, Mr. Sortino was a community and economic development consultant and a corporate secretary and senior planner for the Urban Programming Corp.
Peter Gerard Sortino was born June 30, 1954, the middle child of Peter Paul Sortino, a movie theater operator, and Mary Mitrione Sortino, a homemaker. He gained his cooking prowess and his penchant for doing spot-on imitations growing up in a big, extended Italian family in Yonkers, N.Y. He earned a bachelor of urban from the University of Cincinnati College of Design, Architecture, Art and Planning. He later attended a senior executive program at Harvard University. Mr. Sortino’s future wife, Leslie Gillman, was a college classmate. The young couple’s first home was in the Soulard neighborhood, where Mr. Sortino soon became president of the neighborhood restoration group. They later moved to south St. Louis, where for many years he raised a garden and chickens. Even during the work day, he looked more Lt. Colombo than high-powered executive. After moving to Sunset Hills, the former altar boy returned to the city daily to open the doors of St. Ambrose Church for 6:30 a.m. Mass. “I just want to be remembered as a humble servant who was fortunate,” Mr. Sortino told a longtime friend, Paul Wagman, shortly before his death. He was preceded in death by his father and a sister, Elaine Sortino. In addition to his mother and wife, Leslie Sortino, survivors includea son, Philip Sortino of St. Louis County, and a sister, Paula Celona of Yonkers, N.Y.
Visitation is from 3 p.m. to 8 p.m., Monday, at Kutis Funeral Home, 10151 Gravois Road, Affton. Funeral Mass will be held at 10 a.m., Tuesday, at St. Ambrose Church, 5130 Wilson Ave., St. Louis. Interment at Calvary Cemetery, 5239 West Florissant Ave.
Memorials may be made to Great Rivers Greenway District, 6174 Delmar Blvd, St. Louis, MO 63112. 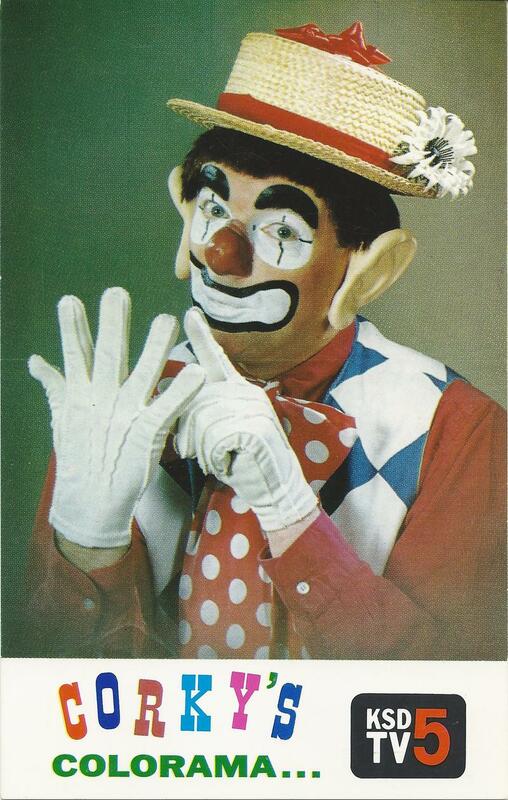 Local children’s television icon Corky the Clown, beloved by baby boomers, died today. He was 91. Clif St. James, of Webster Groves, had been experiencing complications related to pneumonia. During the 1950s and 60s St. James was a veritable mainstay on KSD-TV. He appeared daily on the channel after school as his clown persona from 4 to 4:30 p.m., but also held duties as a weatherman and occasional news anchor. Occasionally, he even performed his weather duties as Corky. His career at the station spanned 30 years. The St. Louis landscape was Eugene Mackey’s architectural canvas; his palette was integrity, artistic genius and spirituality. “You work on a project until you find the soul of it,” his longtime friend, Van Brokaw, said he once told him. “Spirituality was an important underpinning in his life." 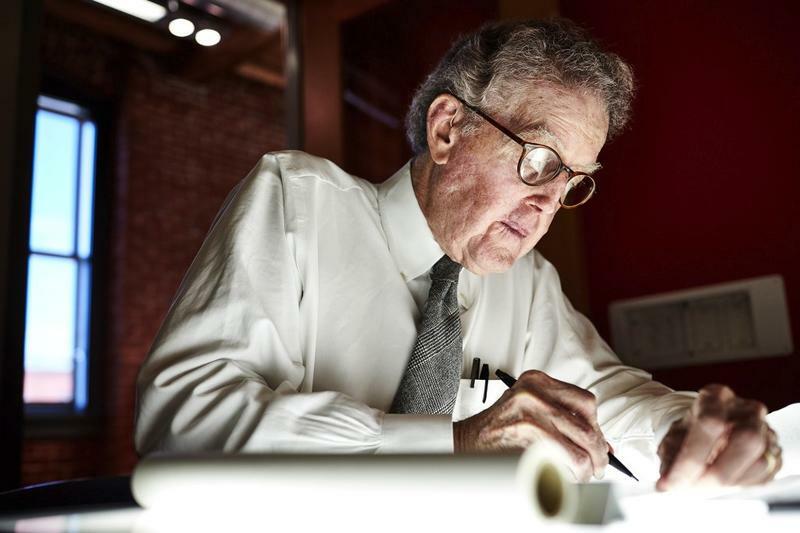 In a career that spanned more than 50 years, Mr. Mackey infused more than 3,000 spaces with a spirit of humanity, inextricably interwoven with beauty and functionality. He died on Sunday (Nov. 27) of an aggressive form of squamous cell carcinoma (skin cancer) at Barnes-Jewish Hospital. He was 77 and had lived in Ladue. Updated at 11:00 a.m. Wednesday with audio of obituary. A leading liberal voice in the Missouri legal community has died. 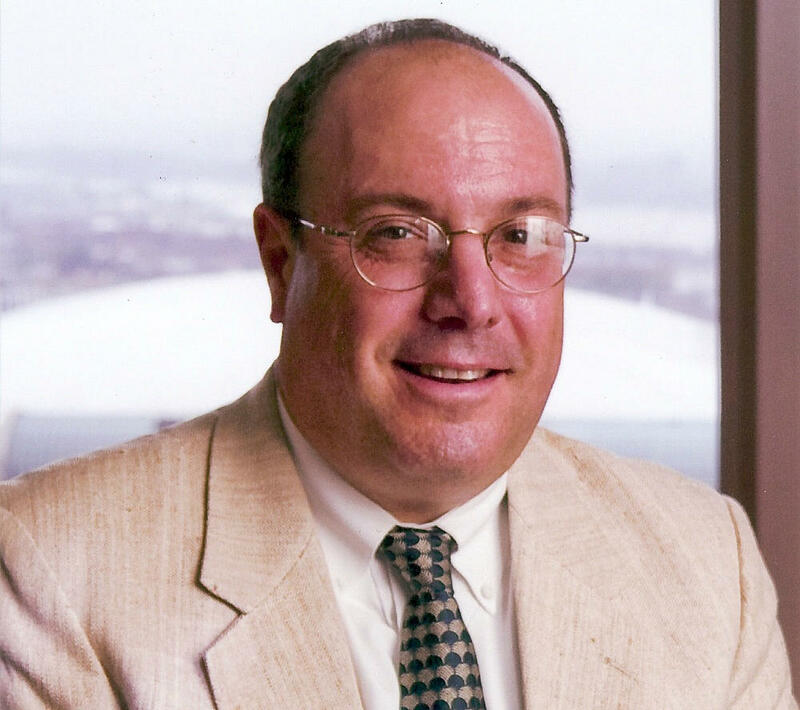 Judge Richard Teitelman was 69. The Missouri Supreme Court confirmed his death, saying Tuesday that he had died in the morning at his home in St. Louis. Teitelman had been experiencing health problems for some time, including complications from diabetes.